DEAM© combines the hard and soft elements of change to ensure that both your organization and your team are ready for success! Its principles and philosophy are solidly grounded in behavioural, organizational and change science. 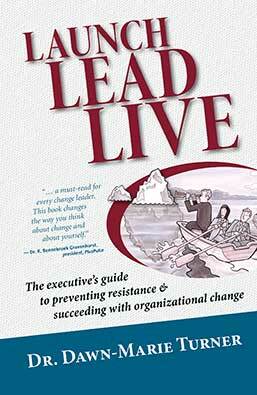 It helps you understand how people react to organizational change. DEAM© combines the elements needed to manage the change event with the processes necessary to ensure your team can navigate the white space. This combination ensures you are able to achieve maximum results from the intended change. DEAM© addresses change from the point of view of the people most affected by the change (change recipients). 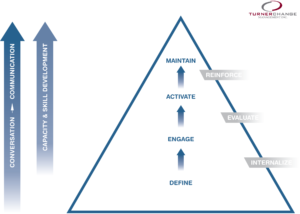 The processes and activities are based on our deep understanding of how to recognize where people are on the change continuum, and what activities and information will help them navigate the change process. As a result you can prevent resistance, reduce the level of discomfort for the change recipients and increase your team’s capacity for future change. Organizational change does not happen as a set of prescriptive steps – it is a process. DEAM© has built in 3 key processes (internalization, evaluation and reinforcement) that allow you to tap into the human side of change more effectively. DEAM© offers a flexible framework that can be applied whether your change is large or small. It can be customized to meet the needs of both large and small organizations. When you manage change from the perspective of the change recipients, you can do more than just implement change – you can realize its full value. You can also increase your organization’s capacity for change and gain a distinct advantage in today’s ever-changing business environment. DEAM© was developed by Dr. Dawn-Marie Turner, MEd, CMC, President of Turner Change Management. Resistance to change can be prevented when people have the knowledge and skills to enable change readiness. The Launch Lead Live model will change our organization for the better in the future!